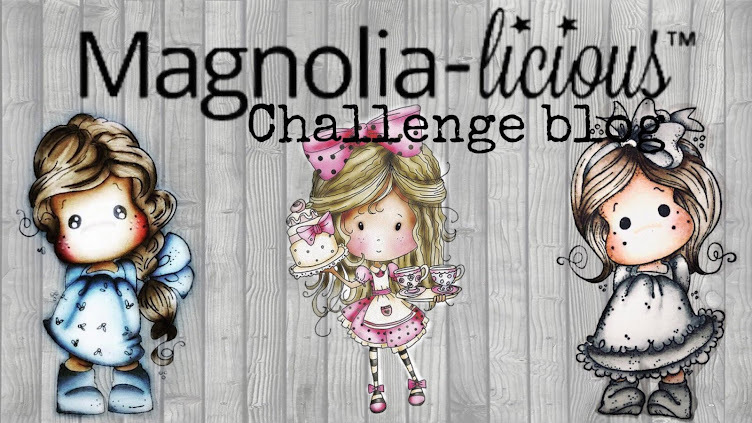 MAGNOLIA-LICIOUS CHALLENGE BLOG: Mini Monday #19!! Welcome to the 19th Mini Monday!! 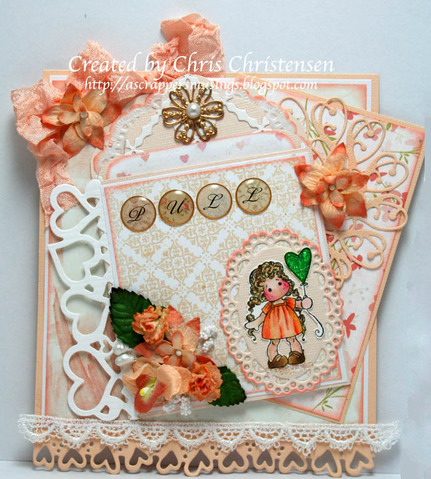 Every Monday on the Magnolia-licious Challenge Blog we will have Mini Magnolia Stamp Projects for you all! 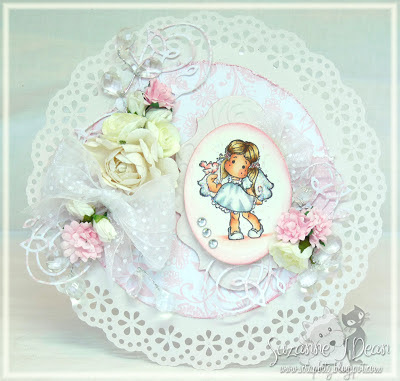 Mini Mondays are to inspire you to get creative with your own mini Magnolia stamps and try something new! 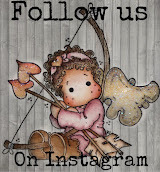 Each week some of the DT girls will have some fabulous projects posted for you to get your own creative juices flowing! See Below for some awesomely creative a Mini Project by Suzanne, Chris & Norma today---click on their names to go directly to their post and read all the details! 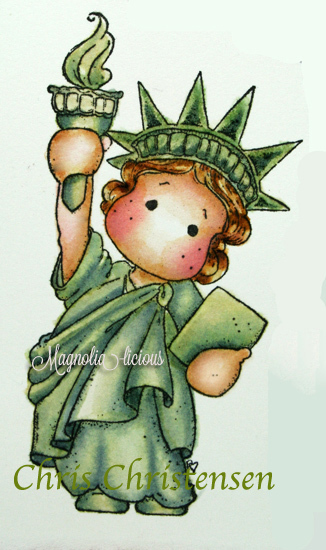 "Liberty Tilda"...such a cute image for upcoming 4th of July!! 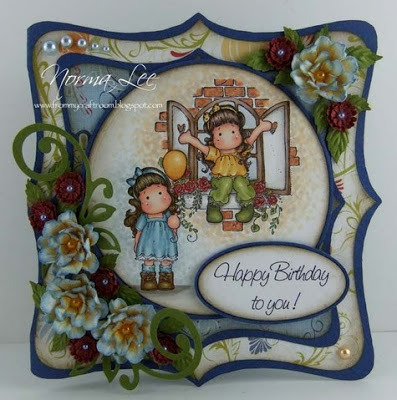 Magnolia-licious carries a selection of mini background stamps by both Magnolia AND Alota Stamps thare are perfect for the Mini Magnolias!! As always you can find the ENTIRE yummy Mini Magnolia Collection HERE! The Mini Magnolia Binder Set is on SALE HERE (58% off) -- its a brilliant way to store these Minis. HOME PAGE! A product is heavily discounted for 1 day, so a great time to scoop it up! Last week there were Memory Box dies, magazines, stamps and paper up for steals! 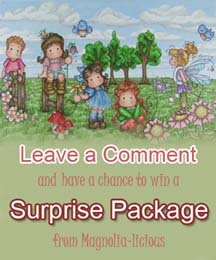 Every week one random commenter from all the blogs/posts will be chosen to win a prize! Last weeks winner will be posted on Wednesday! IF you do NOT have a blog please make sure to leave your email in the comment area...once contacted you have a week to respond to claim prize! All gorgeous cards from the DT and i love the nini stamps!! 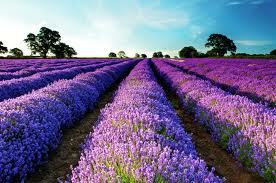 Beautifully done DT! All so uber talented, TFS!